Ryanair and lots of other companies have been fighting a war against screen-scraping services for years to block the possibility to scrape information from the primary, original website. Ryanair chose to go with a captcha (those annoying little boxes you have to fill in to let people know you are, definitely, you promise, cross your heart, human) to solve the problem. I think they introduced it in November 2011. 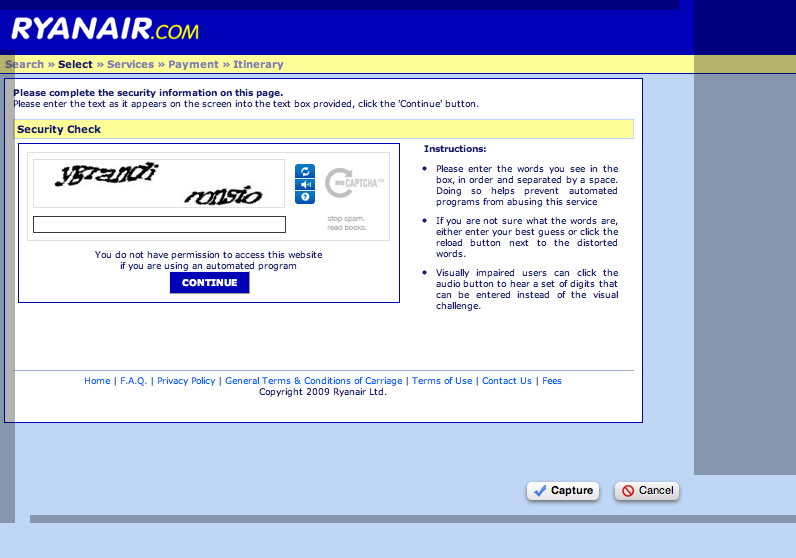 Here’s a screenshot from the Ryanair.com captcha. This screen comes after you've chosen your destination & dates, in fact, quite bloody often! And, where is le probleme? Number 1: from a usability perspective it’s a disaster. Users are asked on MULTIPLE occasions to fill in the captcha. So, often when you perform a new search you’re presented with ye olde captcha again. And every man and his dog knows that when you are booking flights, you compare dates and prices a few times over and often on a couple of travel sites at the one time so frustration is something you can do without. In a report I mention below 60% of travel buyers researched their trip using search engines, and 40% using airline websites meaning your competitor is probably open in another tab while the customer is choosing where to buy for most purchases. Literally a click away. Number 2: this really, really, impacts conversions. Imagine you’re trying to buy an apple in a store, and every time you go in there they ask you to identify some squiggly text on a board then write it down, and if you fail you can’t get your apple, sorry! That’s a captcha. After a while you’re not going to want to go to that shop even though it might be on your way home, and that is roughly the impact it has for some people trying to buy a flight on Ryanair. So, on numbers it’s hard to say exactly but according to this hands on study done by Casey Henry at SEOMoz there could be 3.2% of conversions which never happen here if we use his study as a benchmark. 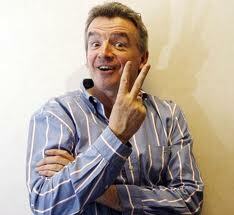 That equates to 3.2% of Ryanair’s annual revenue, about 24 million euro in bookings. Now in his study, surfers were filling in various forms, probably contact forms and the like meaning there’s a very specific and objective-oriented reason why they would fill in that form. If that’s true, then they would want to be able to complete the action, and it can almost be seen as a transaction. In Ryanair’s case, the user is requesting a price & date, it’s a signal that they’re thinking of going to a destination. Not a signal of actually purchasing. For that reason I’d bet the impact on the conversion rate is even worse. Users are in the information-seeking phase, and are being continually presented with new hurdles to jump. Hmm, no sweeties for them on Sundays. And, many people who book are older, meaning filling in a captcha is even more challenging when you have sight and hearing difficulties. In fact, 23% of people aged 55 or older take three holidays a year as evidenced by this report from Harvest digital. And they book at the last minute, meaning a smooth online booking experience is vital. If it’s not clear by now there are two primary leaks of revenue (more in the actual purchase process too, but let’s leave them for now): defecting to other providers for ease of use as they have a competitor already up, and just not booking at all. Ryanair are in effect lengthening the stay of users on their website, which if they were in the publisher game might not be a bad thing. But they’re in the business of closing customers to a plane trip, that means get them to the checkout as quickly as you can, present relevant and clear information, remove any blocks to this smooth process, and offer the extra goodies as you move them towards closing. On the other hand, as a mate of mine Stephen O Callaghan says, they may just be engaging in mitigating post-purchase dissonance. In other words, don’t let others publish your price in other places because then you can get away with higher overall prices and make your cash as buyers don’t know you’re not cheap. And if you control that lens through which your prices are viewed (not viewed in comparison to others) then you can control the customer behaviour and sentiment to a greater degree. Not entirely sure I agree with that approach if that is the strategy ,as I believe there’s more value to be had through other approaches. 1. Remove the captchas, or at least only show them once to a new visit. 2. If not removing the captchas, A/B test to quantify the effect on your conversions contra the higher prices you extract. The revenue leak could be less than stated above, on the other hand it could be far higher – in short, find out. 3. 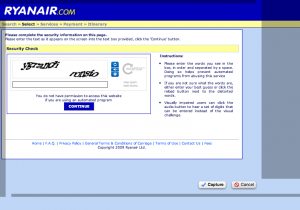 Captchas are completely breakable, read more on the links in my post, in fact hugely breakable. Get another fix instead. 3. And, I expect free flights for life for this post. You know what to do: Comment, Share or Bounce! I failed so many times that I have not used ryanair since last october ( about 4 flights lost to them) . I am going to France by boat for main holidy instead. Silly bugger Mick - he is losing it. The captchas I encountered were so unsolvable I never even got to check my flight, I tried reloading the captcha about 10 times and attempted to solve it 3 times all failures. good article! I know the problem too, both from the customer's and the airline website perspective. Just that no other airline is sooo keen on keeping scrapers out... Anyway, what I do not understand is the crude approach of bugging every travelling granny instead of doing some cheap and easy analysis of the requests some client sends (identified by IP and/or session ID) . Scrapers' requests will be fairly frequent and leave a behavioral trace differing from a normal user. So to make sure I do not totally block a strangely behaving being of flesh and blood I only present the captchas to the few weirdos. To the first of the two points "3." of your summary: Am I too stupid to find those links, or is my Ad blocker working too well?